Quick projects are simplified projects plans that are stripped down to just the basics: materials, tools, and diagrams. 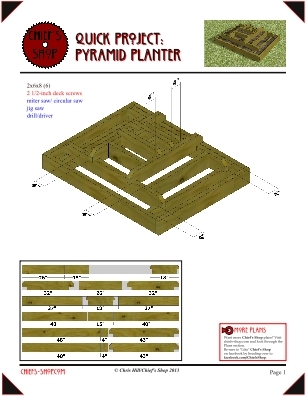 This one is a version of a pyramid raised bed. Simply build the levels, stack, and fill with soil. Click on the image to download the 4-page pdf file.